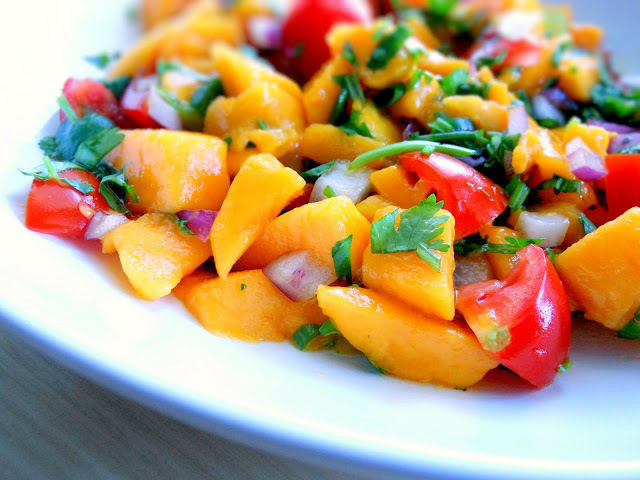 Mango Tomato Salsa can pretty much go with anything as a side dish, and can also create a delicious topping on burgers. In the summer time, if you want to add something refreshing to your meal, don't forget to put this mango tomato salsa on your list. Put all the ingredients in a serving bowl, mix well and serve.